Bobby is the tabby kitten, sitting up right. Then the little black and white one is Heni. The all black one to the right is Heather and the little grey tabby all the way to the right is Bubba. They are all 9 weeks old and litter trained and eating very well. Bubba likes to climb and is very good at it already! They are all cuddly, come when they are called and will snuggle with you for most of the night. 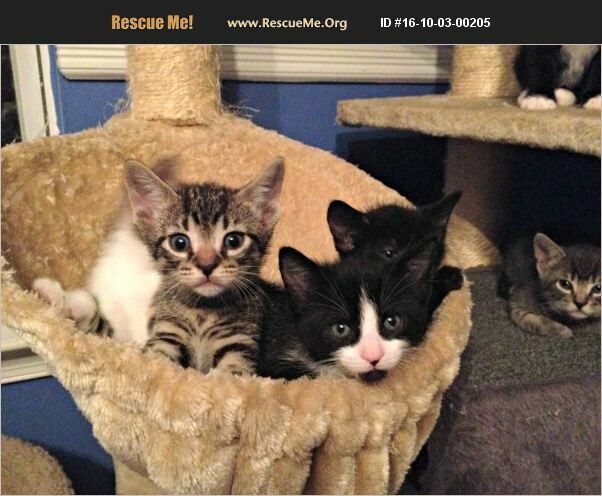 If you are interested in any of these kittens or any of the others we have posted please request an adoption application via email: neyneycatrescue@gmail.com. Everyone has to be approved prior to visiting and choosing a kitten/cat.